Have you considered taking a few online creative writing classes? Maybe you'd like to improve your blog writing. Or, maybe you'd love to get that children's book or love story you've been working on publishing? If so, an online creative writing class might be just what you need. I was compensated for this post and this post contains affiliate links. I will be compensated if you make a purchase after clicking on my links. One of the most important things to consider when signing up for an online class is who the teacher is. I cannot tell you how many classes I've taken that have been taught by people who didn't know more about the subject than I did. It was definitely not money well spent. With MasterClass Online Classes, real experts teach the classes so there are no worries about the quality of the instruction. After all, who wouldn't want to learn acting from Natalie Portman or filmmaking from David Lynch? There are so many different class topics to choose from but here are just a few. 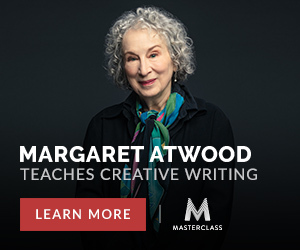 Here are a few online creative writing classes you can take from MasterClass. No matter what type of writing you want to learn or improve, MasterClass has an upcoming course that's right for you. You can purchase an individual course or an all-access pass so you can take all of the classes you want from cooking to singing to campaign management. Or, consider giving the gift of MasterClass to someone you know. There are over 40 different MasterClass classes to choose from right now with more coming out this year. Give the Gift of MasterClass to someone you know.